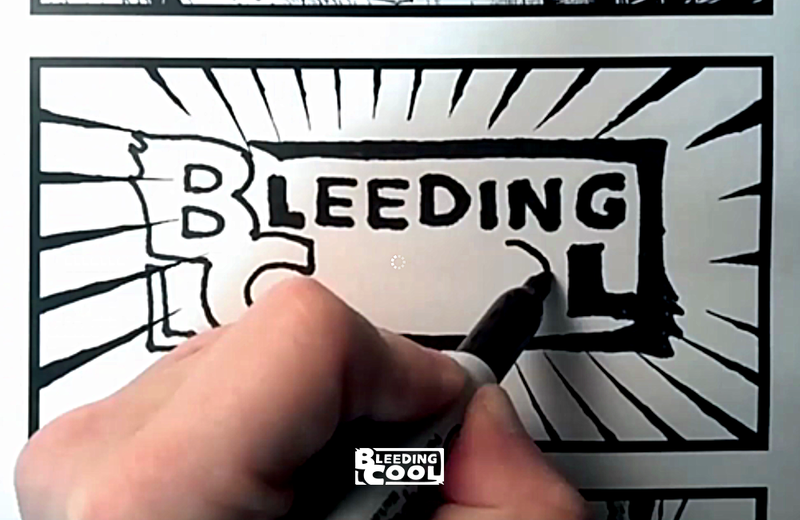 As editor-in-chief of Bleeding Cool, Rich Johnston has a comic fan’s dream career. His day job is to sift through the myriad of comics and graphic novels being published and identify the stand-outs to review for bleedingcool.com, a top internet news source focused on comics, television, film, cosplay, and games. Rich is also a comic book writer with almost a dozen titles to his credit. Before you head over to Bleeding Cool and lose yourself in the engaging and entertaining content, read what Rich has to say about his favourite comics and why he describes himself as a “comic book clairvoyant”. You describe yourself as the “the oldest extant comics news reporter on the Internet”. How long have you been working in this field? I’ve been writing about comics for about 25 years. I started in university when this field of interest didn’t have much of a community. That was the early days of the internet. 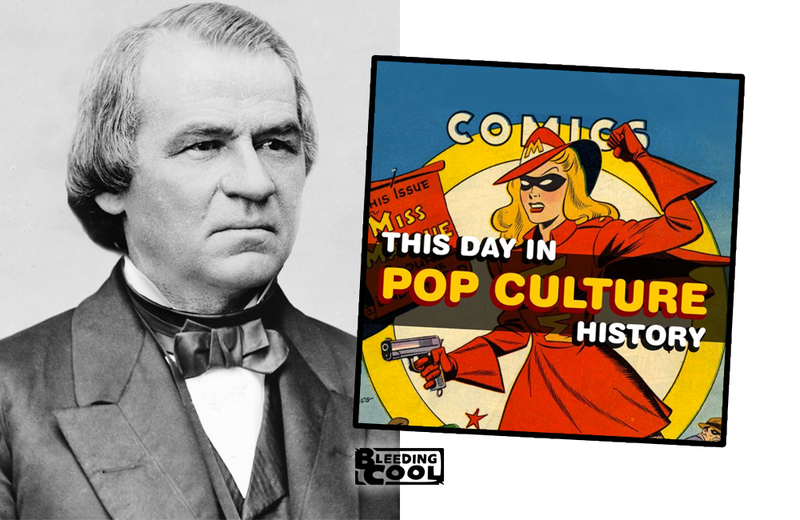 How has Bleeding Cool evolved through the years? There’s been a lot of change since Bleeding Cool was launched in 2009. For many years, William A. Christensen, founder of Avatar Press, and I were the only two people working on Bleeding Cool. I was the lone writer. 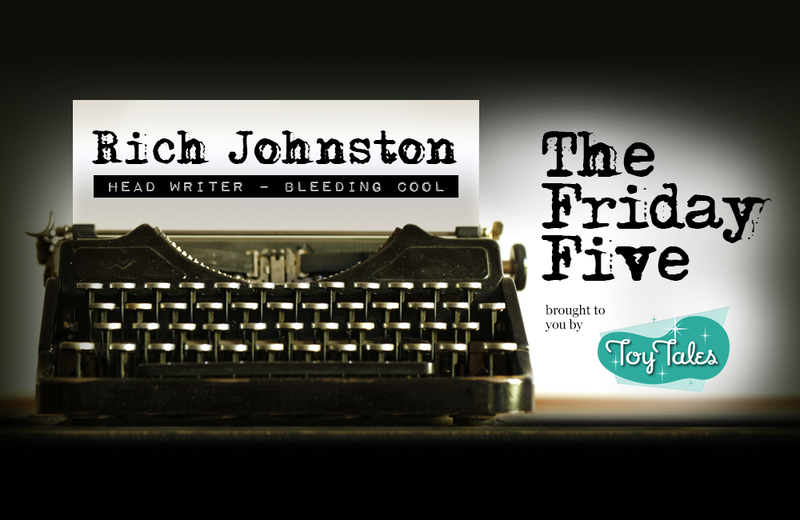 Today, we have 5 staff writers and a number of freelance contributors. We now also cover more than comic books; we have writers specializing in television, film, cosplay, and games. You’re editor-in-chief of Bleeding Cool and you’re a comic-book writer yourself. How does that influence the comics you read and review? The influence is very limited. I started creating my own comics to learn more about the process, really. I think comics are a unique way of storytelling and the format is well-suited to expressing ideas and concepts that other mediums could never support. I write stories that I would want to read and continue to write comics because I love it and keeps me connected to the experiences of other people. 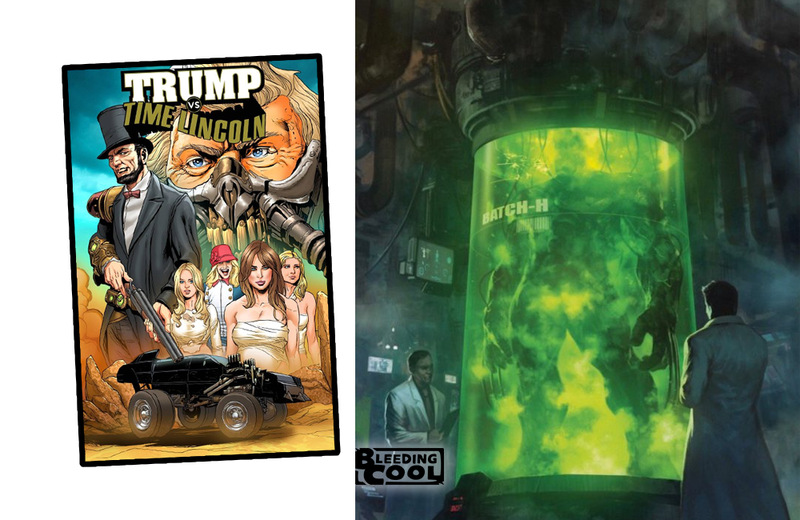 What are three of your favourite modern-day comic books? Cerebus by Dave Sim: This series started in 1977 and ran for 27 years. The protagonist is a talking aardvark. The books are about politics, religion, and the human condition. It’s fascinating to read the series from the beginning because you really see how Sim changed over the years; his influences, outlook, and priorities. V for Vendetta by Alan Moore: Forget about what you saw in the 2005 movie of the same name. The books are about how a single person or a single act can have a huge impact on something unrelated – a phenomenon known as the butterfly effect. It’s set in a dystopian world. The narrative is very compelling. Deadline by Brett Ewins and Steve Dillon: This was a magazine, not specifically a comic. I list it as a favourite because it covered a unique combination of comics and British music. The magazine introduced original characters such as Tank Girl but also reprinted strips from Hate and Milk & Cheese. The magazine was published from 1988 to 1995. I hear there’s interest in publishing the magazine again – that would be amazing. What does it mean to be a self-described “comic book clairvoyant”? Having worked in the industry for so long, I’ve seen the patterns that occur over time. It’s easy to spot trends, mainly because we’ve seen it all before. As an example, we’re currently experiencing a contraction of comic book retailers. Publishers are looking for more sales from fewer retailers and retailers are relying on a small core audience to buy more. As the prices of comics increases, casual readers purchase fewer comics because they haven’t yet become invested in a storyline or character. A 10% drop in readership means 30% of the stores will close. Things are that tight. Circumstances won’t get any better for comic book retailers as publishers such as Marvel start to work with big-box stores to increase distribution. A more modern-day phenomenon that we are seeing is that retailers are beholden to the large publishers because they have the franchises that sell the most units. Independent publishers have a hard time getting decent shelf space so they have had become creative in how they get their books noticed. Libraries have played a big role here, as have small-press expos and Free Comic Book Day. 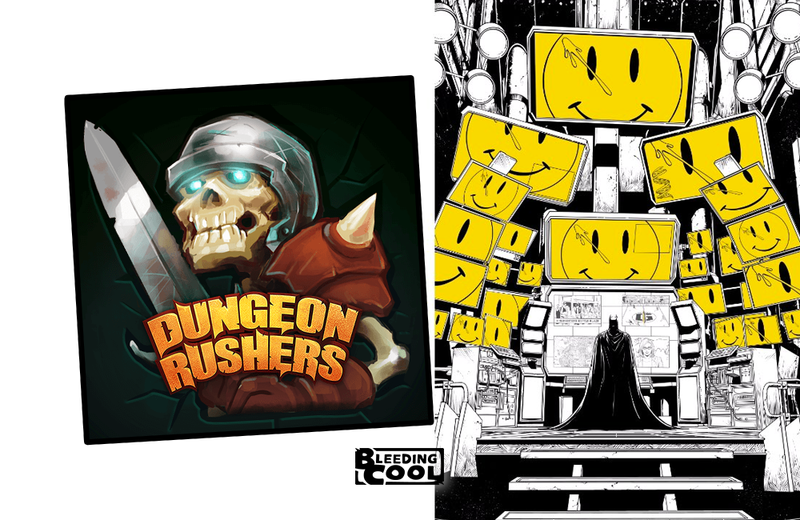 Web-based comics have also flourished as it’s a way for indie comic creators to publish their work without the expense of the traditional print route. Comics are very democratizing. You don’t have to be a genius writer or artist to create a comic book. The format and the audience is very accepting of people who want to give it a go. You don’t need big money behind you, just a few friends, a small community, and maybe a crowdfunding campaign if you want to get fancy. 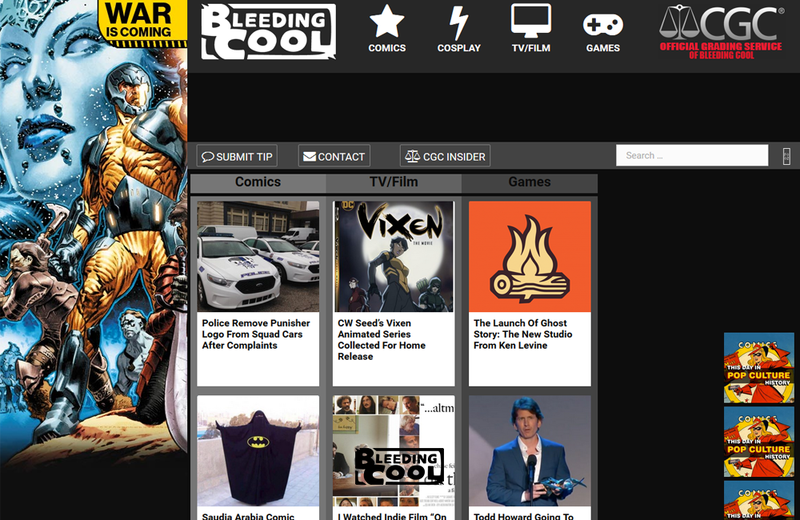 If you’re a fan of comics, television, film, cosplay, and/or games – along with great writing – bleedingcool.com is bound to be your favourite online destination. The bumpy road of toy development is littered with toys that consumers never had a chance to see. Journalist Blake Wright is changing that. Blake is producing Toys That Time Forgot, an art book showcasing toys that never were.